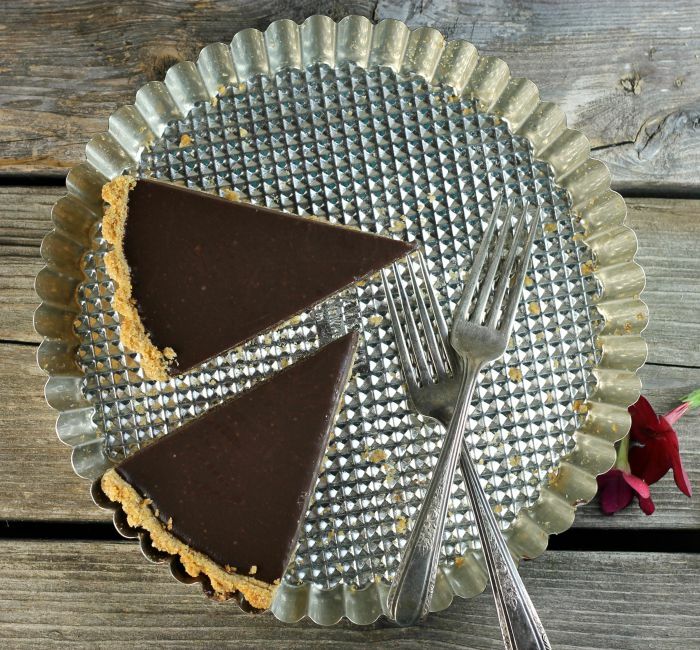 Chocolate ganache tart with just a few ingredients will be your go-to dessert this summer. 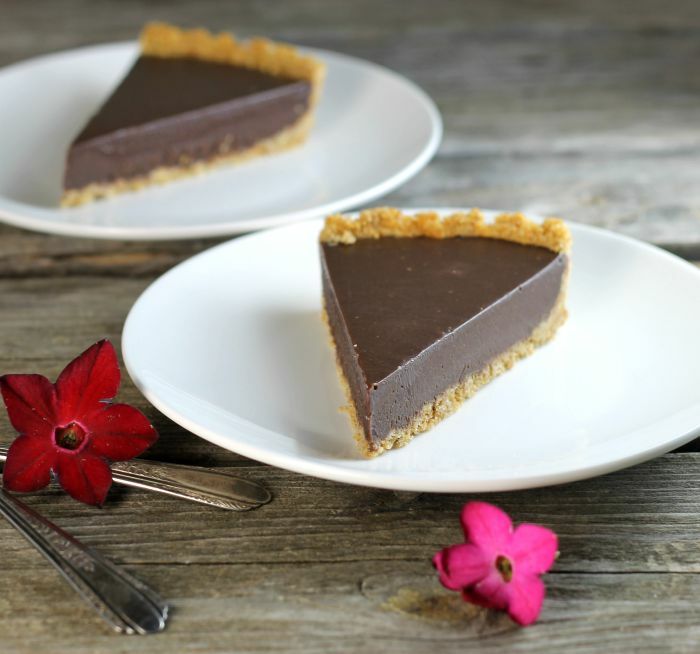 Chocolate ganache tart, totally rich decadent dessert it will have you swooning. It will have the entire chocolate lover in your house begging for more. I know that summer has not officially started yet, but we have been having some warm and humid weather. Oh, I am not complaining. No, I have been enjoying all the glorious colors that have returned to the beautiful valley that I live in. Plus the songbirds are back and they sound beautiful. Best music around. After dinner, I have been trying to get a walk in each night. Some nights are harder than others, like when I have a blog post due the next day. All you bloggers out there will understand what that is all about. After all that let’s get back to the recipe. 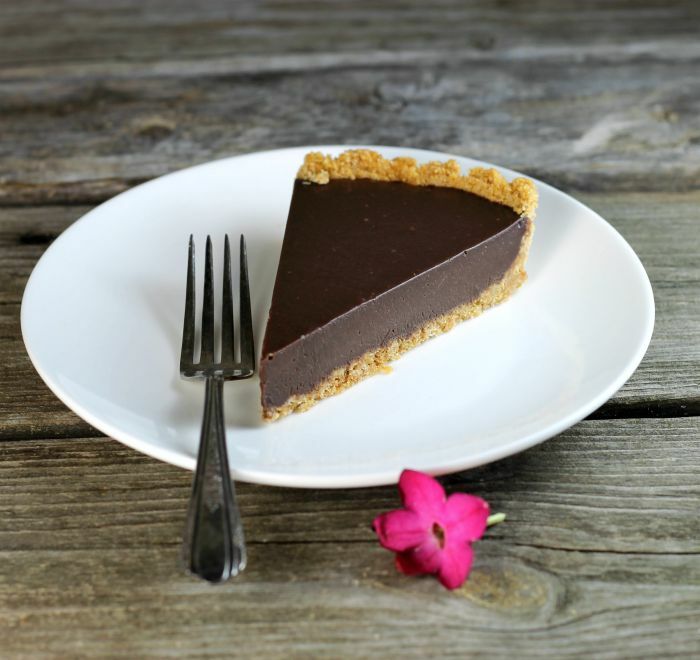 You will never believe that the filling of the chocolate ganache tart only has three ingredients. Yeah, that is right only three. I used chocolate chips, heavy cream, and butter. It turns out so rich, chocolaty, and just plain awesome. The crust is a basic graham cracker crust; it goes great with all of that chocolate. Also, the great thing about this you can make it the day ahead. Keep it in the refrigerator until you are ready to serve. It will be the hit of the summer. In a large saucepan bring the cream and butter to a simmer. Remove from heat and add the chocolate chips. Cover and let stand for 5 minutes. Stir until smooth. Pour the chocolate into the cooled crust and refrigerate at least 2 to 4 hours. Can be made the day ahead. mmm…that looks luscious and so tempting with milk chocolate! That tart looks delicious! It must be amazingly rich! What could be bad about a pie filled with something near to chocolate candy! If I hadn’t eaten a molten chocolate cake for dinner I would want some right now. 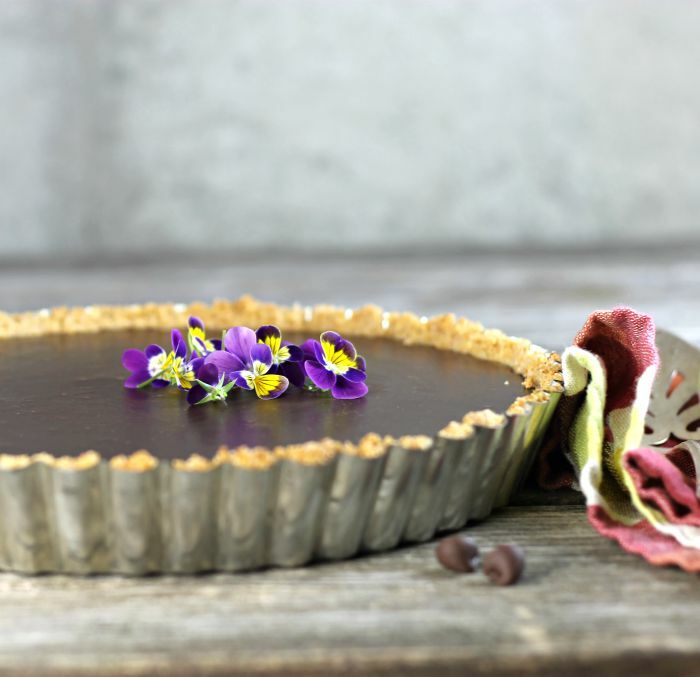 Beautiful tart Dawn, I am one of those chocolate lovers who would be wanting just one more slice, looks amazing! The texture of your chocolate filling looks divine! This would be the perfect dessert for my chocolate loving family!